This is a fantastic app to help you track your sales leads and prospects! This CRM sales tool was built to help your sales process become more organized and efficient. ContactHero is a CRM designed to help you track calls, tasks, manage sales leads, and help you keep track of your sales tasks and clients. Great sales management software should ensure that no business opportunity falls through the cracks. And we built this app with precisely that in mind. Improve your sales prospect follow-through. That will help generate more sales for your business. Plan which sales leads you need to call, and keep a detailed contact history of calls made for each contact of what was said. Unique to ContactHero. Calls ordered and colored by timezone. Neat! 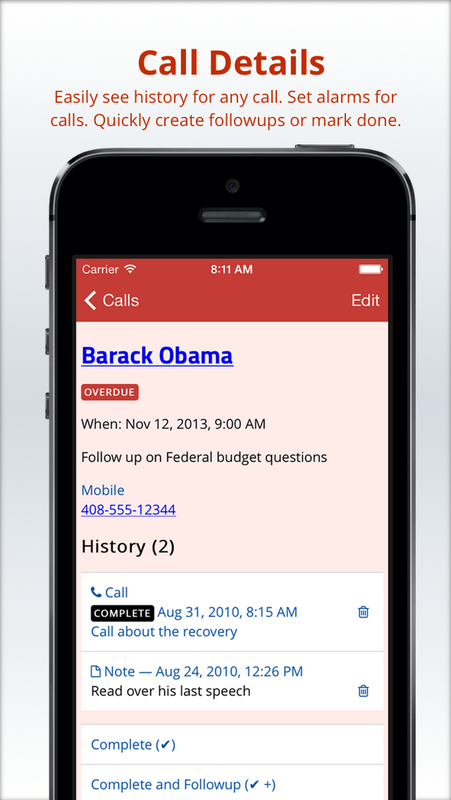 Free unlimited sales tracking of contacts, calls, tasks, and notes. Schedule sales calls with reminder alarms linked to sales contacts. Don't miss a call again. Schedule tasks or to-dos with reminder alarms linked to contacts. 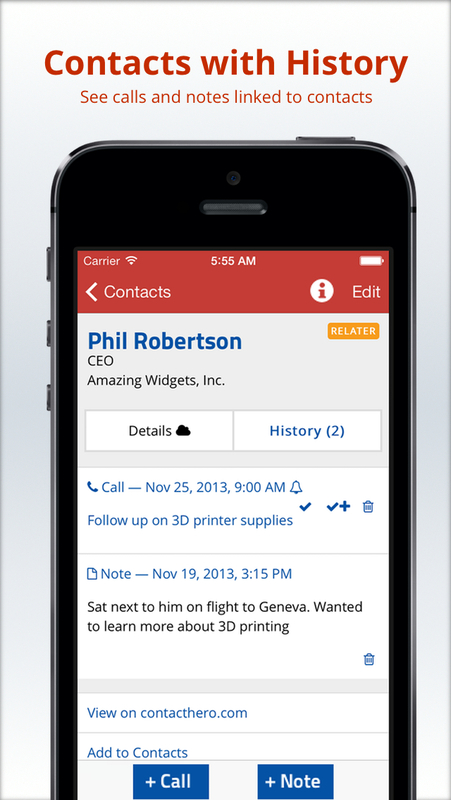 This sales tool works with the contacts already on your phone. Cloud sync with push notifications is available for in app purchase. 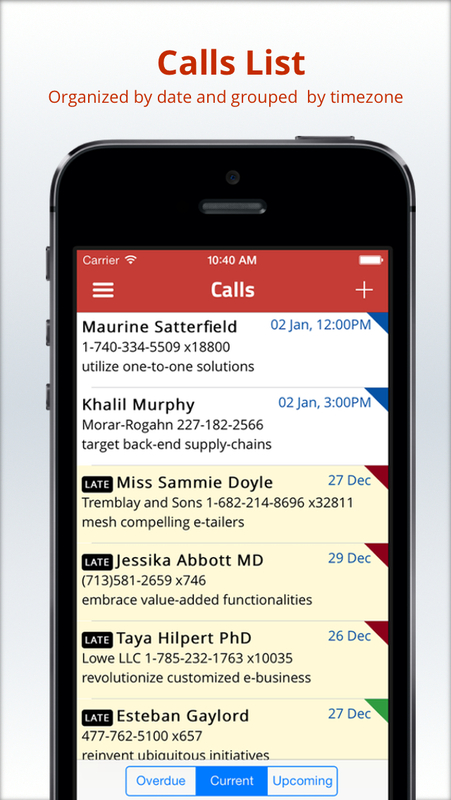 Unlike many other contact management apps or sales tools on the AppStore, ContactHero also offers a complete web version. Requires an account on contacthero.com. Try the app, start being more organized in managing your sales prospects, and become a more effective salesperson today! I have been using Contact Hero for a little over a year for my MLM business. I evaluated a number of other programs prior to Contact Hero and they all seemed complicated to me. I was terrible at follow ups! Contact Hero is fundamentally intuitive and easy to use. 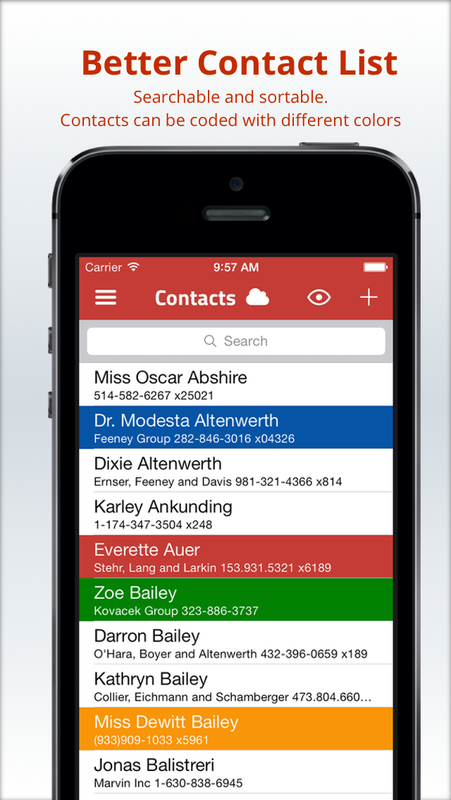 Contacts are easy to enter and notes are easy to access. Follow up calls are especially easy to schedule. Every morning I log in and with one click have the list of my follow up calls for the day. Like e mail, Contact Hero has become an indispensable part of my every day activities. Kudos Contact Hero.